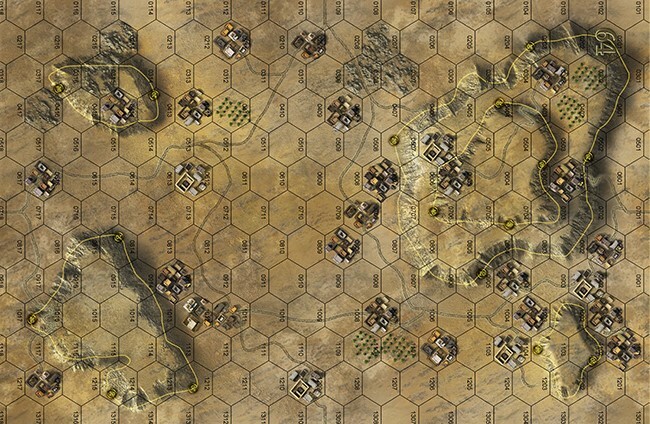 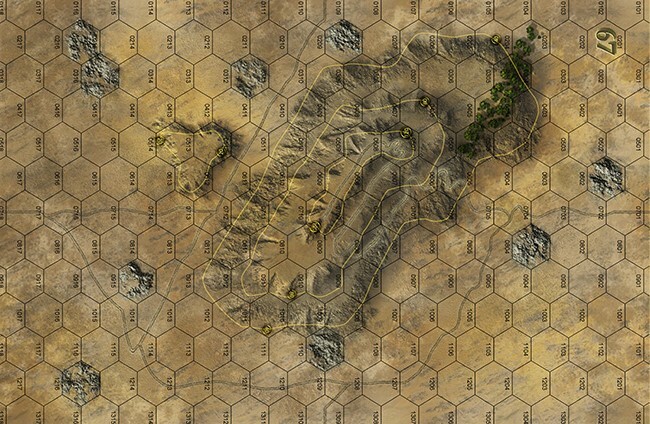 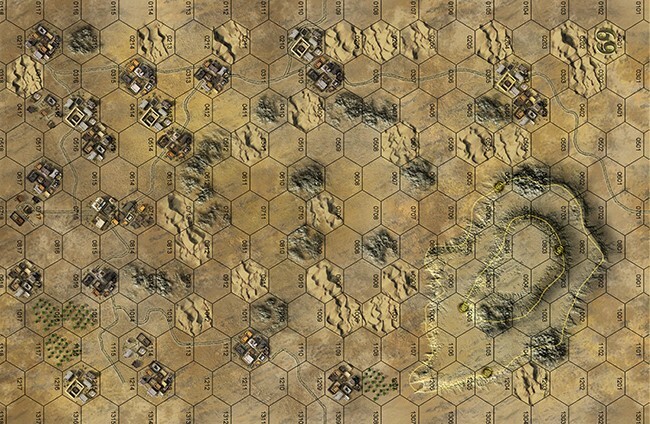 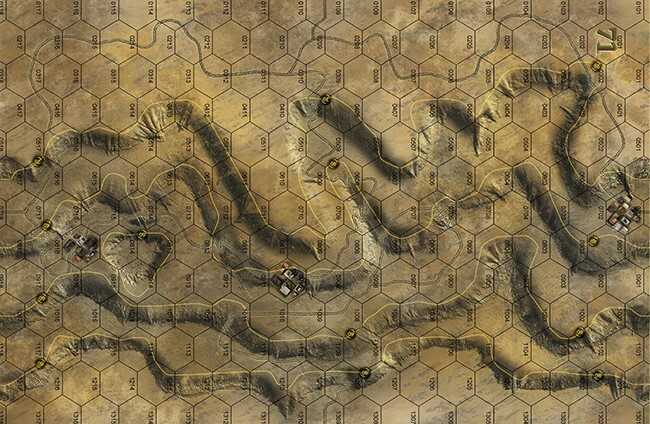 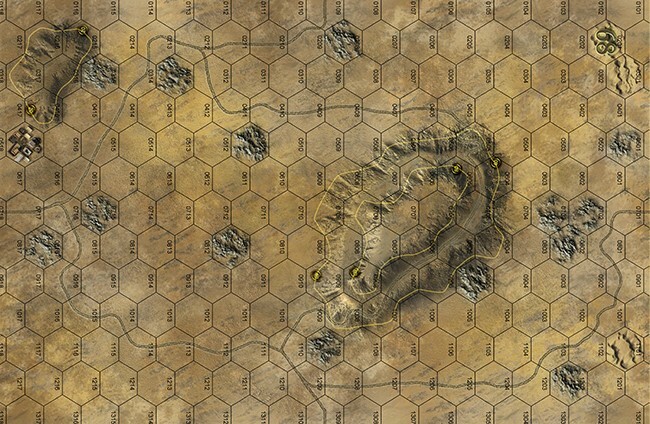 Our Panzer Grenadier (Modern): 1967 Sword of Israel comes with eight mapboards showing the terrain of the Golan Heights, West Bank and Sinai - including a unique two-piece hill map for use with Golen Heights scenarios. 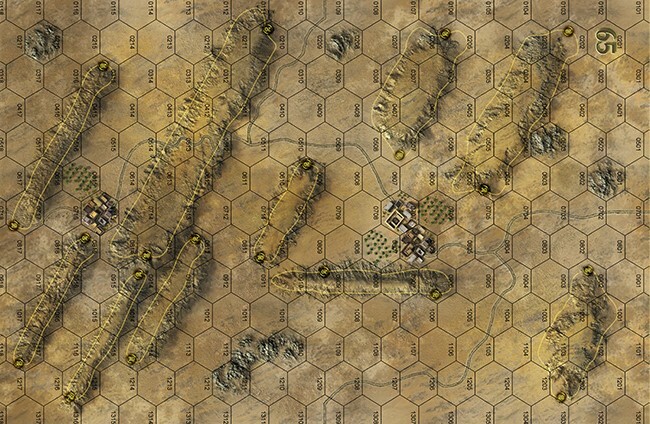 Veteran artist Guy Riessen has most definitely outdone previous standards here..
1967 Sword of Israel has standard-sized, 11x17-inch heavy cardstock maps that fit together to make the battlefield of a particular scenario. 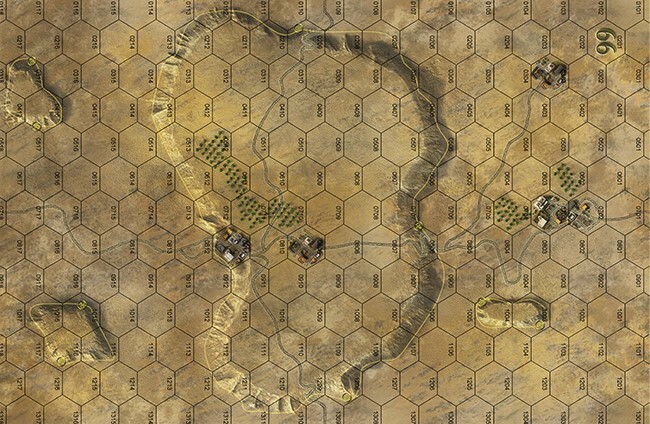 They’re fully compatible with the maps from any other Panzer Grenadier, Panzer Grenadier (Modern) or Infantry Attacks game, though they might look a little odd alongside the lush farmlands of Flanders or the deep jungle of New Guinea.